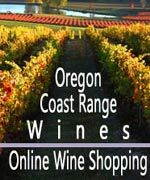 (Tillamook, Oregon) – Travel Oregon announced this week that Tillamook County's tourism entity Visit Tillamook Coast will receive a $20,000 grant from Oregon Wine Country Plates Matching Grants Program. In September, Visit Tillamook Coast was awarded another $10,000 for another project, bringing the total of recent grants to $30,000. Out of this will come a variety of engaging projects on the north Oregon coast, including a food festival in Garibaldi and a culinary / agritourism program aimed at creating food tours of the county's towns, such as Manzanita, Pacific City, Tillamook and Netarts, among others. The tours – or “trails” as the group termed it - will include farms, fisheries, breweries, wineries, chefs/restaurants, tour guides, cooking schools, lodging specializing in local foods, and more. In the fall of 2018, Visit Tillamook Coast and the Portland Garibaldi will be working together to host a food festival. Planning of the event starts this month, according to Tillamook County's tourism director, Nan Devlin, so little is known as yet. She said, however, the event is probably looking at 30 food vendors – all of which will be local. The matching grants program helps advance wine and culinary tourism projects that improve local economies and communities by enhancing, expanding and promoting Oregon’s travel and tourism industry. The projects will help share the story and experiences of Oregon’s wine and culinary bounty with Oregonians and visitors. September's grant of $10,000 will go to create what's called “Food, Farm, Fish and Forage” trail. That effort will include a printed map, website, visitor training and marketing. This grant followed the participation of a two-day agritourism workshop in February facilitated by the Destination Development division of Travel Oregon. The workshop attracted more than 65 participants from throughout this part of the north Oregon coast, including commercial fisheries, produce and flower farmers, dairy farmers, chefs, restaurants, cheesemakers, brewers, lodging owners, OSU Extension, and non-profits involved in farm to table and boat to table provisions. Plenty of interesting and enticing specials are emerging around Tillamook County. Some in Pacific City are offering a third night free as well as some major restaurant perks if you book a certain amount of nights. 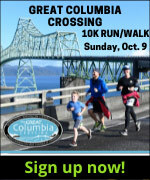 See the Pacific City lodging link for specials bulletins. Others will be popping up soon in Rockaway Beach and Manzanita, as well as Tillamook / Garibaldi. More deals in other towns are aplenty as well: click on the lodging links below or at right to see the bulletins for each area.